The fiberglass and paint are in good shape. 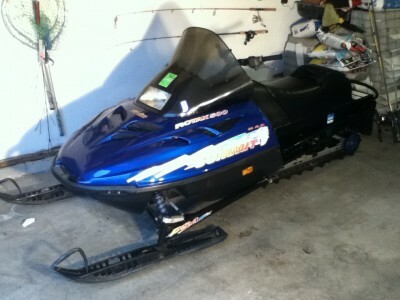 The sled runs great and I have ridden nearly 1000 miles in the last two seasons without issues. The recoil is wearing out and will eventually need to be replaced. The only missing parts are the handlebar pad and the dash vent foam. The ignition is bypassed so a key is not needed to start it. 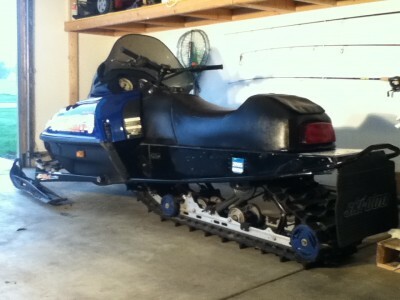 Overall, the sled is in good condition for its age. 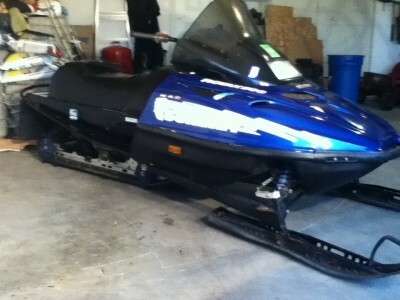 The sled has been garage kept for the past several years. 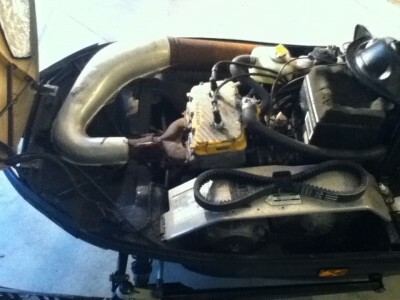 In 2010, my local Ski-Doo dealer changed the carburetor jetting and clutch spring for regional altitude. The stock setup was for high altitude and the original high altitude clutch spring is included. I have a DVD service manual and have followed the diagram to complete yearly maintenance. I will include it with the purchase. I greased all fittings this fall for the 2012 season. I also cleaned the chaincase and changed the fluid in January. I recently reupholstered the seat, put new Hotgrips on the handlebars, and tightened the steering shaft to the frame. I put a new Bombardier drive belt on this season and it has nearly 300 miles on it. 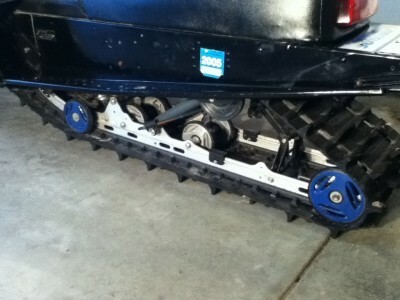 The sled also comes with a spare belt in near new condition. 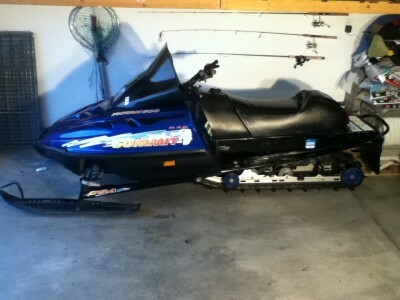 All engine and suspension components are stock for this mountain sled. The track is in good shape and is the original with deep 1 1/2 inch paddles. 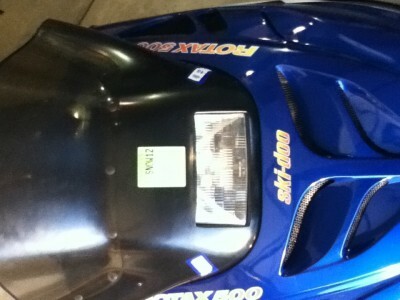 The sled has a clean title and is registered in Indiana. Feel free to call me with any questions. Thank you, Vince.